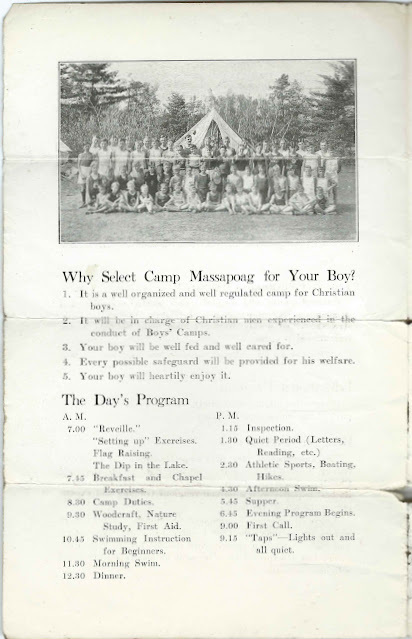 Vintage brochure of Camp Massapoag at East Groton, Massachusetts, a camp for boys from twelve to eighteen. 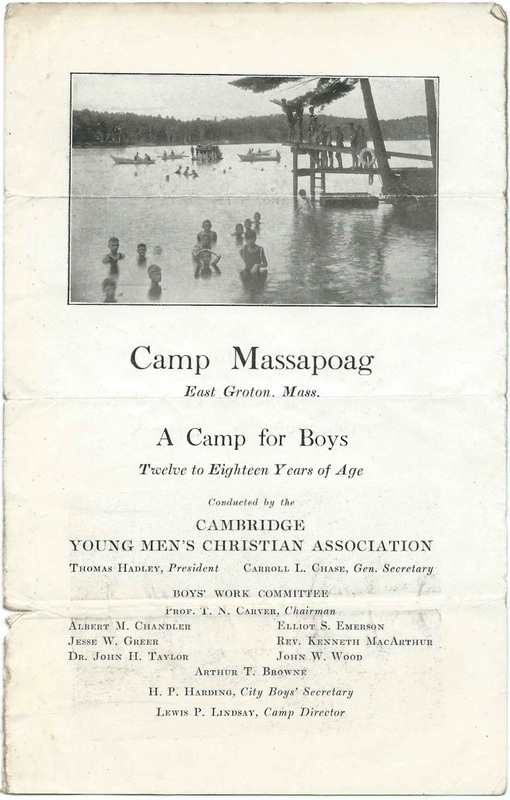 It was conducted by the Cambridge, Massachusetts Young Men's Christian Association. The brochure is comprised of one sheet, approximately 11' by 8-3/4", folded once to a final dimension of 8-3/4" by 5-1/2. If you have stories to share of experiences at this camp, please leave a comment or contact me directly. 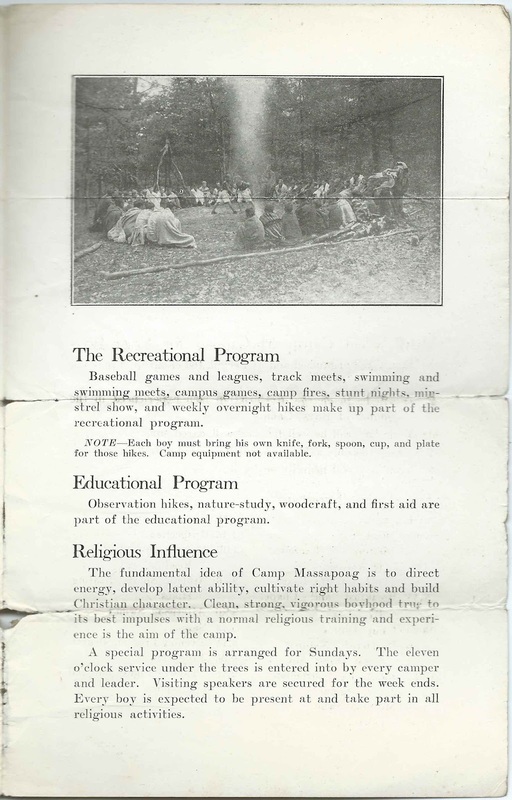 My dad was the Camp Director in the 70's. 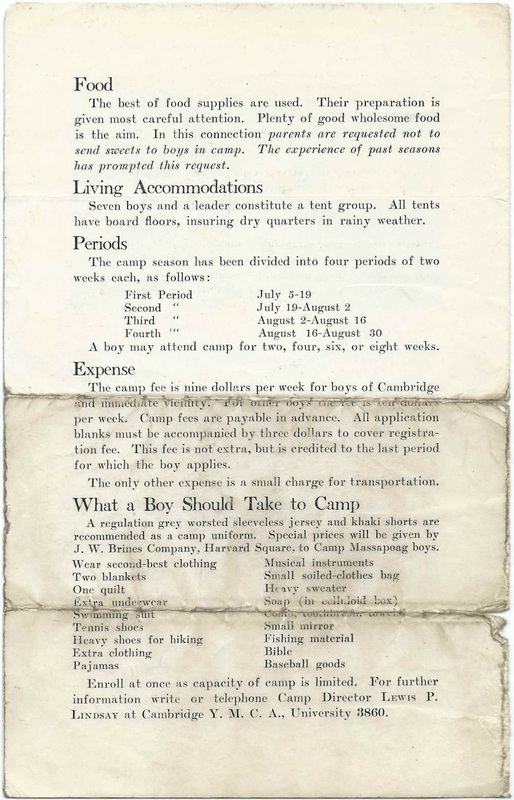 I lived there every summer.